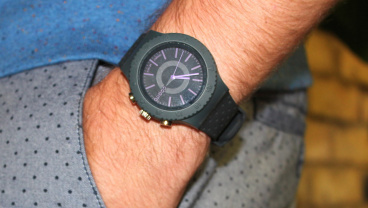 Smartwatches don't need to be packing the latest OLED displays, super efficient system-on-a-chip processors or even be running a dedicated operating system. That's what Hong Kong based ConnecteDevice will be hoping at least, as it follows up its mildly successful Cookoo range with a duo of simple smartwatches: the Cogito Pop and the Cogito Classic. 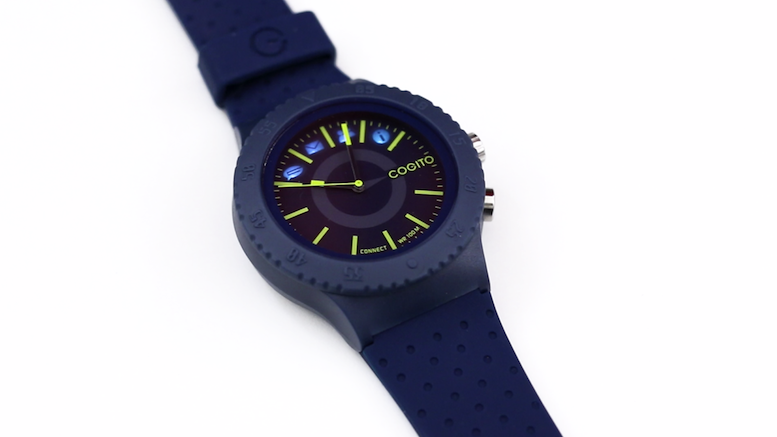 Blurring the lines between traditional, analogue, timekeeping and the digital communication revolution, the Cogito pair offer up smartphone syncing and wrist-based notifications, with no firmware updates in sight. We've spent the last week or so with the cheaper of the two watches – the Cogito Pop (£79.99 from Amazon) – read on to find out how we got on. 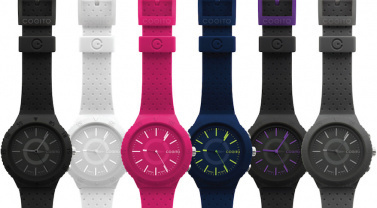 If you imagine a basic, teen-focused, Swatch-like, colourful funky watch, you've got the Cogito Pop. 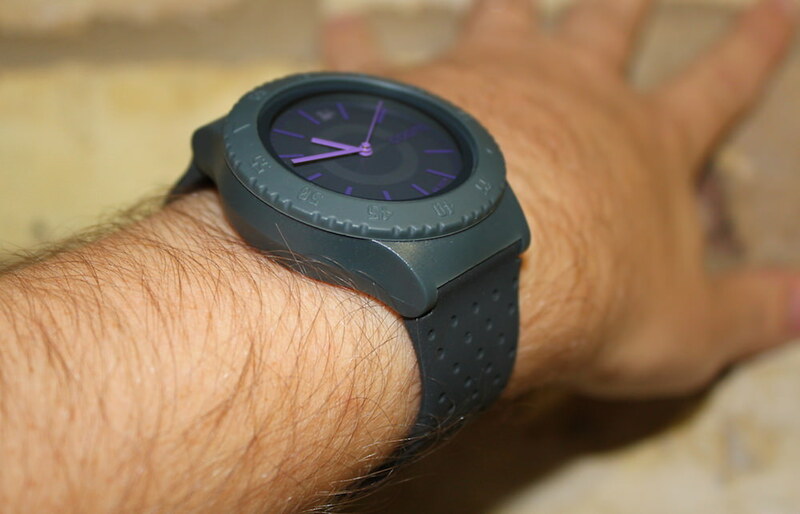 Made of plastic and featuring a basic rubber strap (of numerous colourful varieties), and looking nothing like its smartwatch comrades like the Gear Live, the LG G Watch or even the Pebble Steel, the simplicity of the Pop is its selling point. 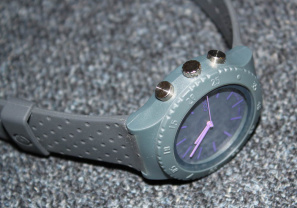 We've seen Bluetooth connectivity and smart features on 'regular' watches before – Casio and Citizen both have notifying timepieces on the market – but this is the first time we've seen one so obviously aimed at the Bieber generation. 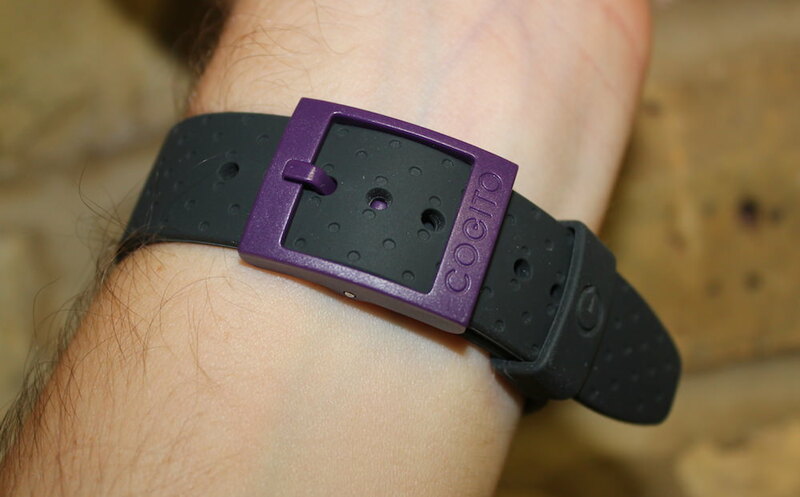 It's a solidly built device and the vented rubber strap (which is interchangeable) is pretty comfortable, although the buckle is a tad clunky. 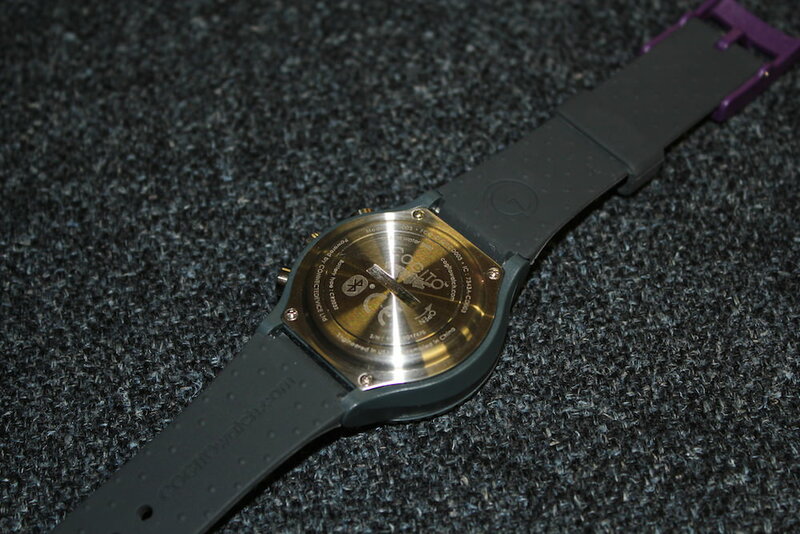 The face is numberless, with larger five-minute interval markers and smaller individual minute ones, and there's the regular three-hand analogue movement. On the side are two buttons either side of the dial and, at 14mm thick, the face is pretty bulky for a traditional watch. 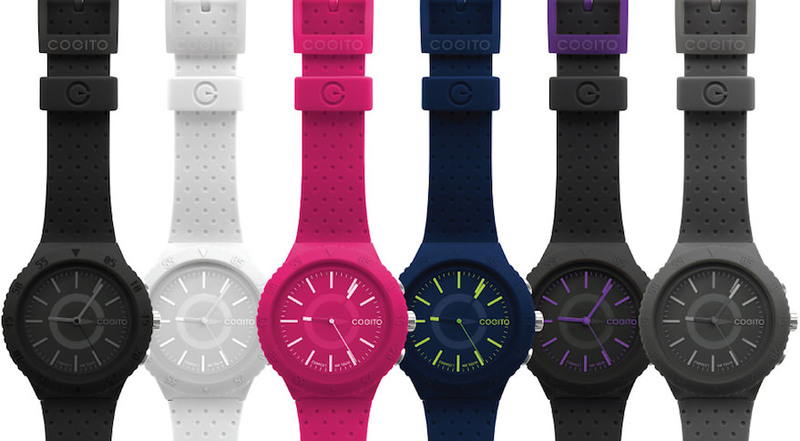 The smart features of the Cogito Pop are applied by the four LED icons that sit between the 10 and 2 markers at the top. Looking left to right you've got a speech-bubble, an envelope, a pair of people and an info sign. 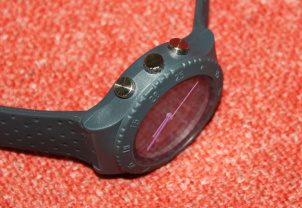 These, as you've probably guessed by now, light up when you get certain alerts. This is where the Pop differs from its traditional rivals. 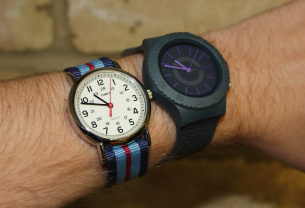 There are people out there who want detailed updates and real-time in-depth notifications from their connected watch – that's where the Gear Live and the Android Wear gang come in. Then there's those who simply want a quiet notification of an email, call or social media – and that's where the Pop comes in. Receive a text, a WhatsApp message, Facebook notification, incoming call or a calendar update and the appropriate icon will light up and the watch will vibrate and beep. You can also have it alert you if your phone's battery level is low. The icons will flash until you acknowledge them – either by pushing one of the watch's buttons or by reading the notification on your phone. It's effective, but equally frustrating. Sure, you won't miss a call, but with only four icons and many messaging platforms, it's often baffling to decipher what the Pop is trying to tell you. These alerts are powered by the accompanying Connected Watch app (iOS and Android). In the app you can set what type of alerts will show up on your watch and there's also a couple of extras such as a 'find my watch' function and media and camera controls – both of which were much more novelty than useful, we have to say. 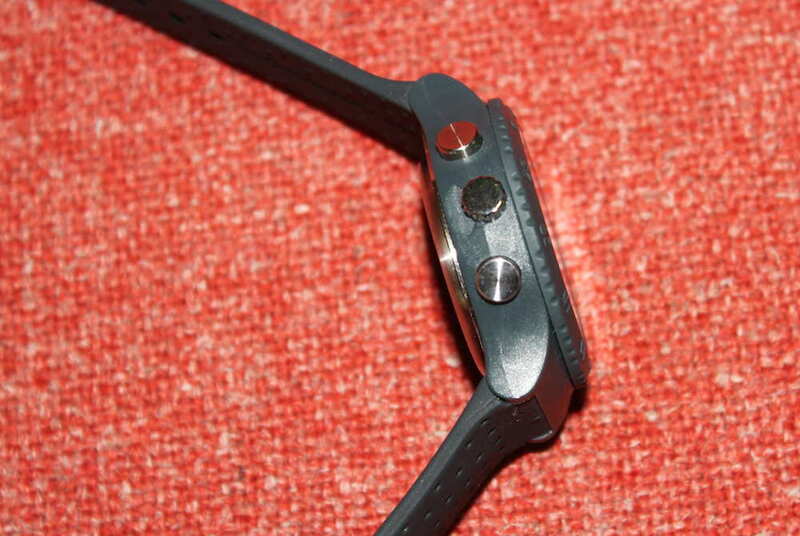 It's also through the app that you do the initial Bluetooth pairing, which at first seemed a doddle. It's only after the umpteenth time that the connection drops and you're yet again going through the process that it will begin to grind you down. The Pop seemed to lose connection with our Android smartphone at least twice a day, despite always being in close proximity. The app is also pretty basic and it's not really clear what you're turning on and off. 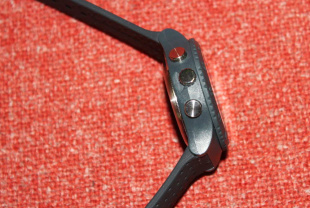 It does show the incoming messages it is alerting you to on the watch but that's hardly necessary as you can't reply to a message from within the app – tapping a notification simply chucks you into the relevant platform. Third party support is pretty minimal as well. The usual suspects – Facebook, Twitter, WhatsApp and Instagram – are all present and correct, but if you're using anything less mainstream to connect with your circles you're out of luck. 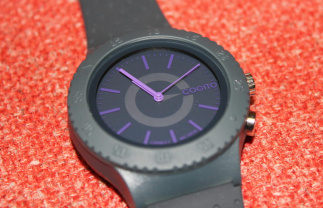 The Cogito Pop doesn't have the battery worries of its more smarter rivals: it runs on a pair of button-cell batteries so you should get months of life before you need to replace them. It's also got a 10ATM waterproof rating meaning that it should be good in the shower, the bath, the pool or even the sea for a bit of snorkelling. 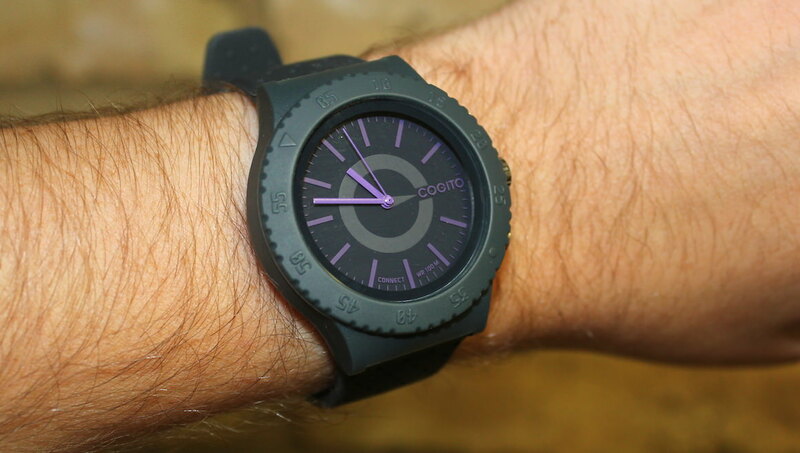 The Cogito Pop feels more like a dumb watch with a few smart gimmicks rather than the stripped back smartwatch that we know some people really desire. Ultimately, it’s let down by its connectivity glitches and mediocre companion app. As a funky watch, it certainly plays its part, but as a digital companion, it sadly comes up short. It's £79.99 and you can get one from Amazon.